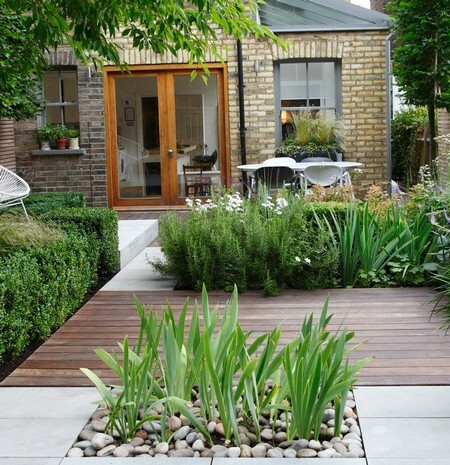 Doorways are very important places, especially the front door where plants should be welcoming. The plants need not be tall or expensive specimens. Front doors often have steps leading to them, and a tiered array of plant-filled pots sitting on the steps will give an informal welcome. 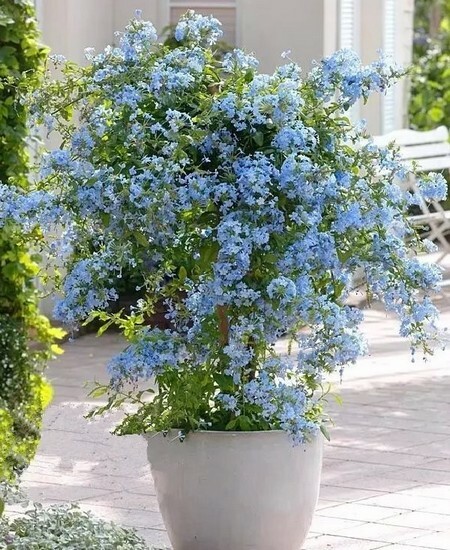 Elsewhere in the garden, a flight of steps, or maybe just a single step, can be brought to life with a pot overflowing with trailing plants. If you are fortunate enough to have a porch, deck, or veranda running along a side of your house, this makes a perfect place for some groups of containers. Use weathered terracotta, stone, or wood containers that will blend well with the walls and flooring of these structures. If you want to protect the floors, use plant-pot saucers. It is always a pleasant surprise to come across container plantings unexpectedly: To turn a corner and see a path bounded by pots of colorful annuals or more subdued, clipped box trees; to walk through a dense screen of shrubs and find a comfortable seat beside a quite pool, surrounded by pots of blue African lilies or plumbago; to walk out of the kitchen door and find yourself among a host of pots filled with aromatic, culinary herbs; to suddenly notice a small window box discreetly perched on the ledge of an old, ivy-covered brick wall, in cool shade. Search out the special places in your garden, where an imposing pot or urn could be used as a focal point. 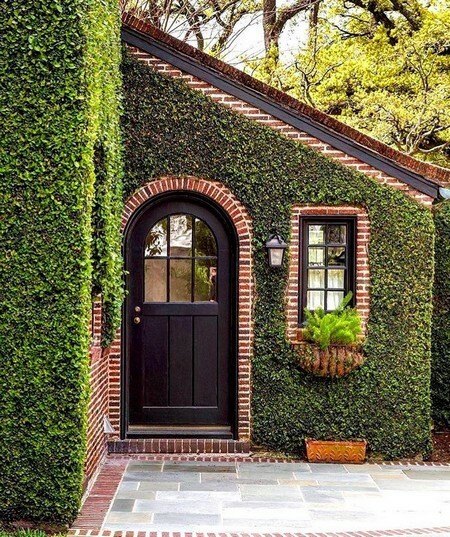 It might be at the end of a long, straight path against a formal evergreen hedge, or opposite a door from the house, or a large window overlooking a paved patio or terrace. 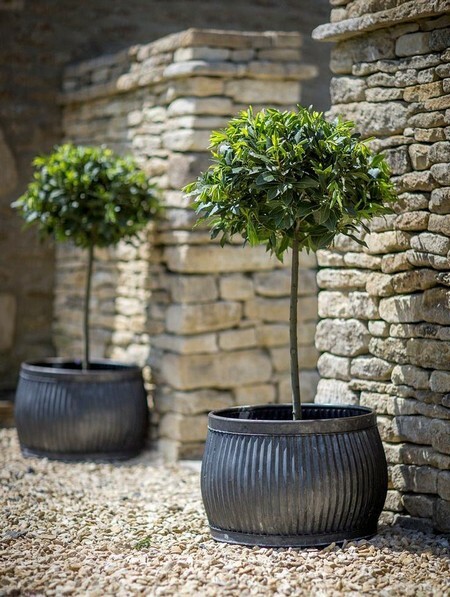 Like statues, containers are important garden ornaments and their plantings need to be carefully considered so that they will both stand out and relate well to the surrounding planting schemes. Sometimes a simple planting of just one type of plant, species, or variety may well be the answer, especially if the container, itself, is strongly architectural or highly decorative. Make sure that a tap or source of water is never too far away from the site you choose for containers. It is all too easy to give up on plants if you have to carry a watering can a long way, particularly in hot weather when they need watering most frequently. Nothing looks sadder than a neglected pot of plants. 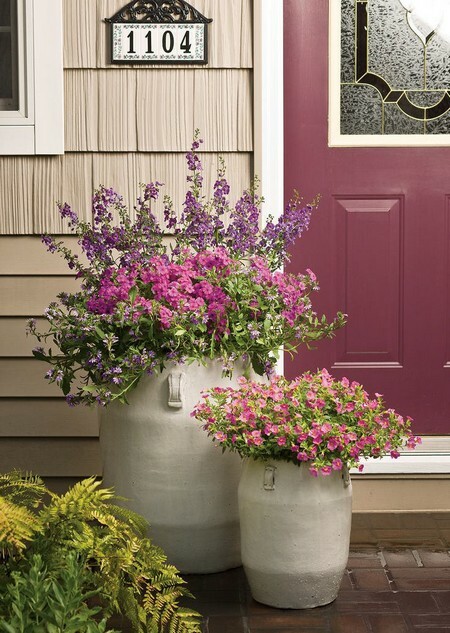 But then nothing looks better than a group of pots, or even just a simple, single urn, tub, or window box, positioned in the right place, and planted with an eye-catching scheme.